FREE Brilliant Daily School Planner for ALL Students! Having a hard time managing your daily load in school? 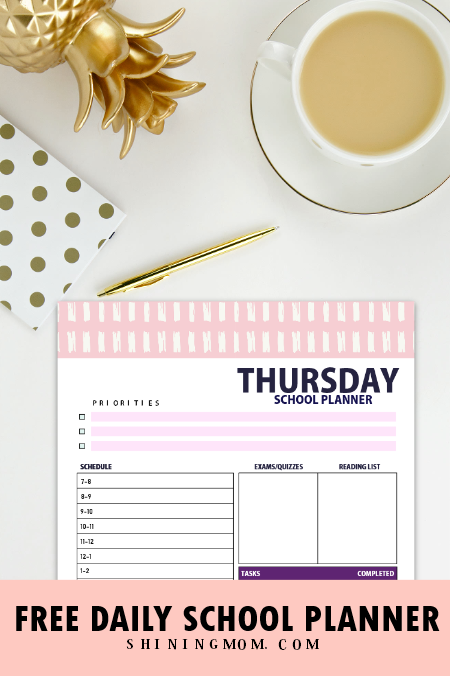 This dainty free printable daily school planner might help save the day! 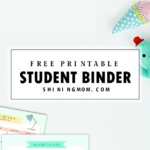 Calling all students, today’s Shining Mom freebie is for you! 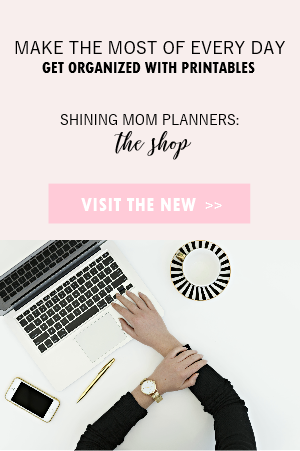 If you feel the need of having a nifty planner to help you organize your to-do’s, write down your homework and projects, all in one place– this is probably what you’re looking for. Scroll down to view this brilliant printable designed to immensely help you get to manage your school day! 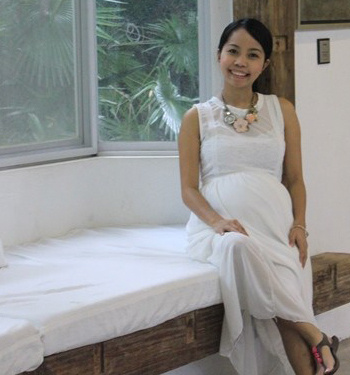 If you’ve been following the Shining Mom blog for any amount of time, you know for sure that I was a teacher before I decided to blog full-time. I understand the need of students for a system to help them organize their schedule. 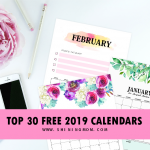 I know how hectic a student’s day can be and this is why, if you scour through this blogs old posts, you’ll find hundreds of free printables that are dedicated for students like you. One of my goals blogging here is to help students get organized so that they can be more productive. Are you one of those who wants to take full control of your day… so you can increase and ease out your learning and balance your school life all at the same time? 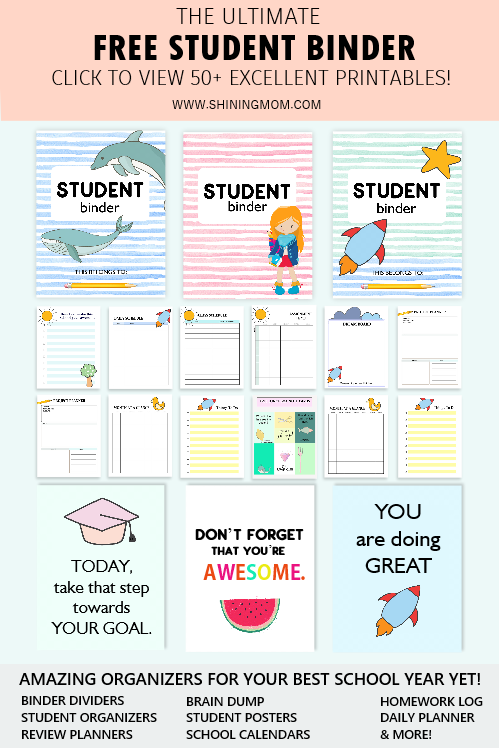 Today, I am rolling out another freebie dedicated for you: The free printable daily school planner for all students! Let me show you what I’ve got. 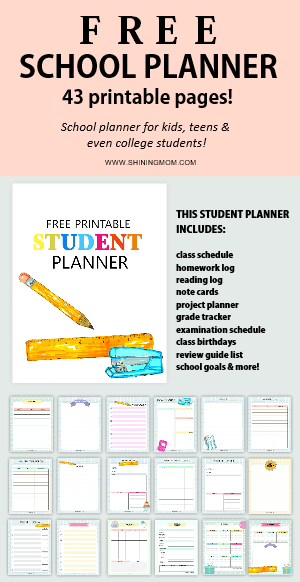 The Free Printable Daily School Planner” An Every Student Must-Have! Ever wished you had a nifty printable daily school planner that you can use? If you’ve been scouring Pinterest looking for ideas, I hope that you’ll finally find what you’re looking for here in this post. I have created a truly simple and practical daily planner for students like you that you can definitely use and print for FREE! This free daily school planner is designed with sctudent’s schedule in mind. 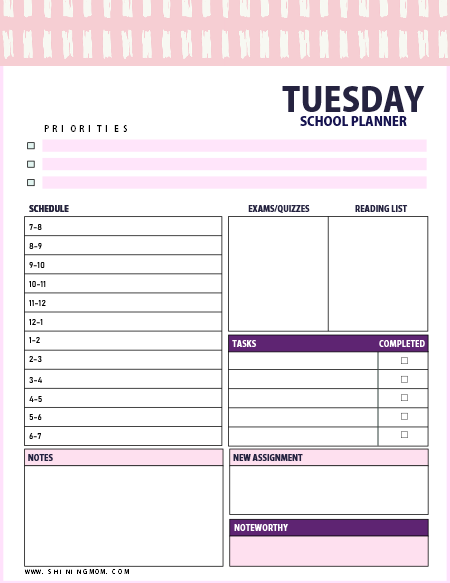 It comes in the most simple format that carries all the basic categories that a student needs for her daily planning. : Goals for the day, schedule, exams and quizzes, reading list, tasks, assignment and towards the day, a summary of something to be happy about, or just put, your noteworthy accomplishment or deed. 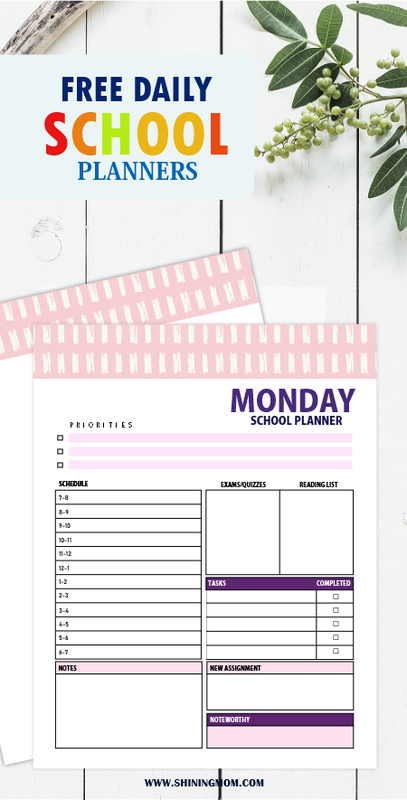 Since I understand that students have different needs when it comes to daily planning, I have also included some blank printable daily school planner templates that you can personalize and make your own. 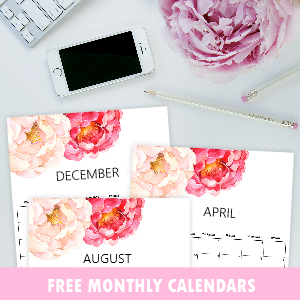 And yes you’ve read it right, this beautiful planner bundle is for free. Here’s how this free printable daily school planner will help you run your day. First, as you can see, it will help you keep your focus every day as it will le you identify your priorities right at the beginning of the day. Second, it will let you run down your to-do’s or class schedule by the hours so you won’t miss any! Then next, identify your exams (and study areas) as well as your reading list for the day. Then, it will let you write your important tasks with a little assessment if they were completed. And lastly, there are also special sections for your notes and of course something to be proud of or your most significant accomplishment for the day! 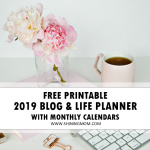 As I have said earlier, there are also blank daily school planner templates available in your download that you can fill out should you have your way of organizing your day. 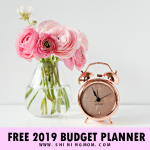 This free daily school planner bundle is available for Monday to Friday, and for those students who still go to school during weekends, worry not, I have also included Saturday and Sunday daily planning pages. In short, it covers all the days of the week! 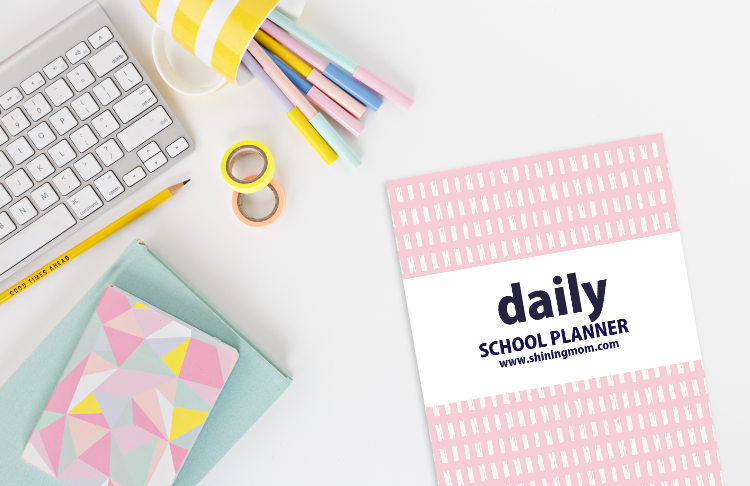 Do you think you can use this free daily school planner? This freebie is exclusive for our newsletter subscribers. To receive yours, join the mailing list HERE and you will receive your copy straight in your inbox right away. 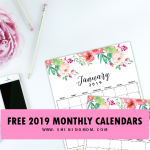 Joining the Shining Mom newsletter also entitles you to receive updates on my newest weekly freebies available so you won’t miss any! 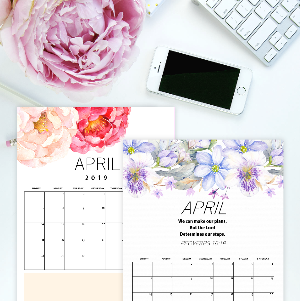 Print the daily planners in Letter-sized papers with 8.5 x 11 inches dimensions. Should you like to use other paper sizes such as A4, make sure to adjust your printer setting. 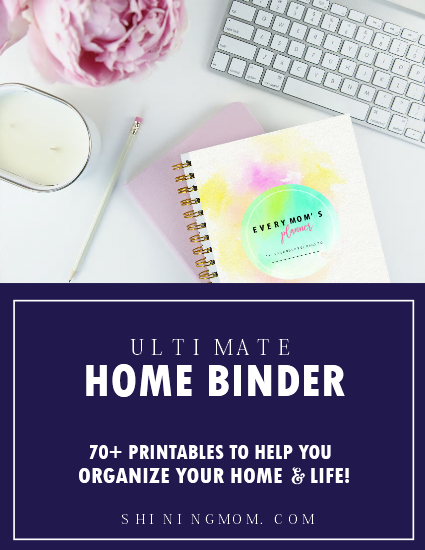 Organize the daily planners in your school binder! May You Pin this Post? 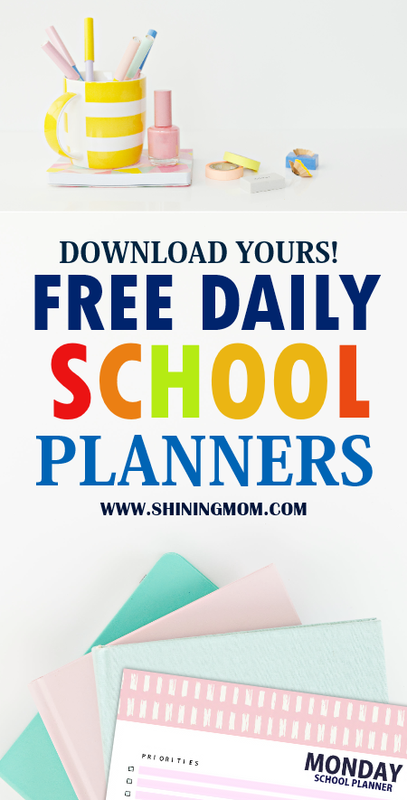 I hope you can help me spread this free daily school planner freebie by pinning this post at Pinterest. You are also saving this post for your future use that way. =) Thank you! Lastly, would you also like to get a blue version of this free daily school planner? Let me know at the Comments, and if I receive at least 15 requests, I shall be updating this post with the blue edition. Make your request count today. Have a beautiful day ahead! Thank you very much for following along. I shall be rolling out another school organizing freebie this week so stay tuned! « 12 FREE Mother’s Day Quotes and Cards to Delight a Mom’s Heart! Yes please update one to Blue. Yes, BLUE version for this please. Would love to have a blue one, thanks!! I would like a blue one or just a simple black and white one would be great! This would be great in blue or black!